Mike Tyson has received a lot of blows in his lifetime – most of them to his head – but this one has hit his heart like a ton of bricks. Arizona police have confirmed to E! News that the former heavyweight champ’s 4-year-old daughter, Exodus Tyson, has died, a day after accidentally hanging herself on a piece of exercise equipment at the family home. …Exodus’ mother is 34-year-old Sol Xochitl of Phoenix. She and Tyson no longer live together but are still a couple, according to neighbor Dinka Radic. …Exodus was on life support in critical condition at St. Joseph’s Hospital. She had somehow become entangled by a cord hanging from a treadmill and was unconscious when her 7-year-old brother discovered her. Police have said the incident appears to have been an accident, and they have no reason to suspect otherwise. No parent should ever be forced to outlive their children. 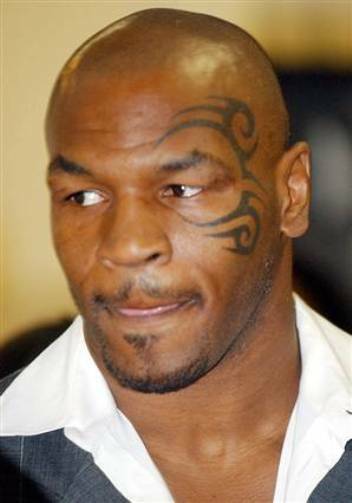 I never thought I’d say these words together but, poor Mike Tyson – what a crappy thing to have to go through. My thoughts and prayers are with Mike Tyson and his family. I firmly believe that when we leave this world, Our Soul carries on. previous post: Simpsons Toys – Buy ‘Em Today! How terribly tragic. Poor little guy. I hope his family will be okay with the grieving and loss. Mike, we are with You in our prayers! It’s hard to find right words… actually there are no right words..
Rest In Peace Baby Girl!!! 53 queries in 1.405 seconds.